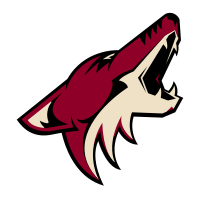 You have heard this before but it looks like we may be closer to resolving things around the future of the Coyotes in the desert. No seriously we are getting closer. On Tuesday, the Glendale city council had a workshop to review the renegotiated lease agreement with Greg Jamison. Yes, the same agreement the Glendale city council approved back in June. You see after the approval, Jamison was speculated as shoring up the last of his investors. In that time, the court ruled that an emergency sales tax implemented by the City Council needed to go to public vote to potentially get repealed. (I am summarizing legal mumbo jumbo and court room strategies). Facing a potential repeal of the sales tax, the city asked Acting City Manager to renegotiate the terms, in theory to get a little more relief in the first part of the lease agreement. Ok ok..that’s already too much detail I wanted to go over and I am glancing over so much more so if you have any questions let me know. Back to Tuesday the 20th. The Glendale City council reviewed and discussed the new lease agreement negotiated by the Acting City Manager, Horacio Skeete. The city council was very interesting to watch. Several city council members jumped on their soap box to justify their positions but it was clear to me that people’s minds were made up already although not all members put their cards on the table. The city council could vote on it as early as next Tuesday the 27th. Of the 6 remaining council members, Frate, Clark, & Martinez still appear to support the deal. Opponents of the reworked deal are Mayor Scruggs and Councilwoman Alvarez. Councilwoman Knaack did not reveal which way she is leaning although she has supported it in the past. Glendale City Council Approves lease agreement. If this happens, Jamison will move toward purchasing the team. I have no idea how quickly this can happen with what is currently on the NHL lawyers plate right now. Oh and don’t underestimate the Goldwater group….they are lurking in the shadows somewhere. Glendale City Council rejects lease agreement. If this happens, we won’t hear much as far as next steps but I can’t imagine the Coyotes play a game past the 2012-2013 season…if there is one. The current Glendale city council punts the decision to the new city council taking office in early 2013 If this happens, the deal is unlikely to get approved in its current form. Most incoming council members ran on a platform of anti-subsidy for the coyotes. On a personal note, I believe hockey can survive anywhere, including Glendale. I am not rooting for Glendale/Phoenix to lose their team but I am rooting for resolution. Hockey is an amazing sport that just takes time to build a base. Having the soap opera over the last 4 years has not helped grow the sport in AZ and has been a black-eye for the league. I know most hockey purist might not agree with me but they usually come from areas where they could play pond hockey and knew who Bobby Orr was before they knew Joe Montana. I grew up in California and only saw one NHL game in person before I turned 21. I am living proof on how this sport can grow. UPDATE: I might as well comment on what this has to do with Seattle. The general consensus is that in order for Seattle to get a team, it must be by relocation.Seattle will not be ready for a team for another 3 or 4 years at best so the Coyotes are not a good candidate. The other city often discussed at getting a team is Quebec City. They could handle a team today. They have an arena being built and have a temporary facility ready to host a team for a couple years. If the Coyotes do relocate, it will probably be to Quebec City. This would be a good for Seattle as it will accommodate the biggest competitor for the next NHL franchise.